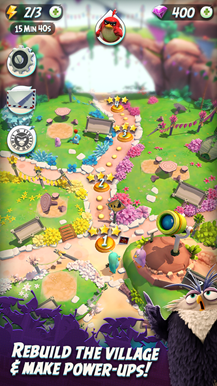 The game plays sort of like a miniature golf course: from a top-down perspective, players aim the titular Birds towards columns where their eggs teeter precariously at the top. The birds run towards the various obstacles and smash head-long into them before banking away like pinballs. Oh yes, the birds run: these are the 3D movie designs, complete with actual factual limbs, and while the stages are more or less flat they're presented in the colorful 3D trappings of the movie. Story portions, unfortunately limited to minimal animation and text bubbles, pop up in between the 90 stages. The red bird, yellow bird, and black bird are all available, and each have different effects on the environments. 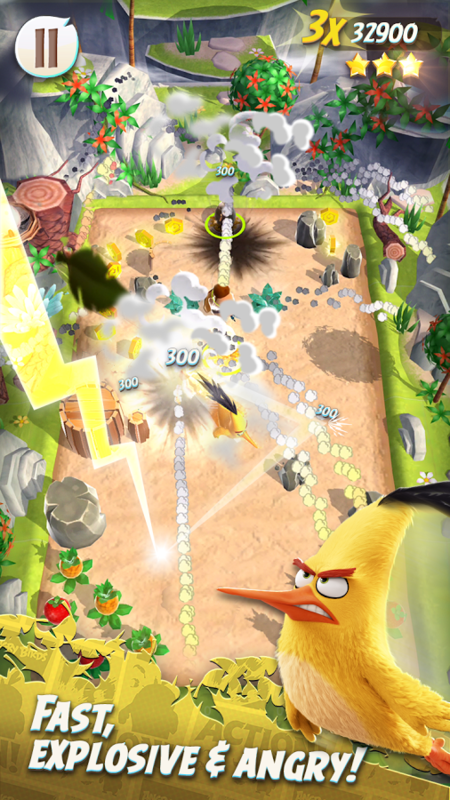 It's hard to judge without having access to the game in the US, but by peeking at a few of the Let's Play videos on YouTube, it looks like Angry Birds Action! 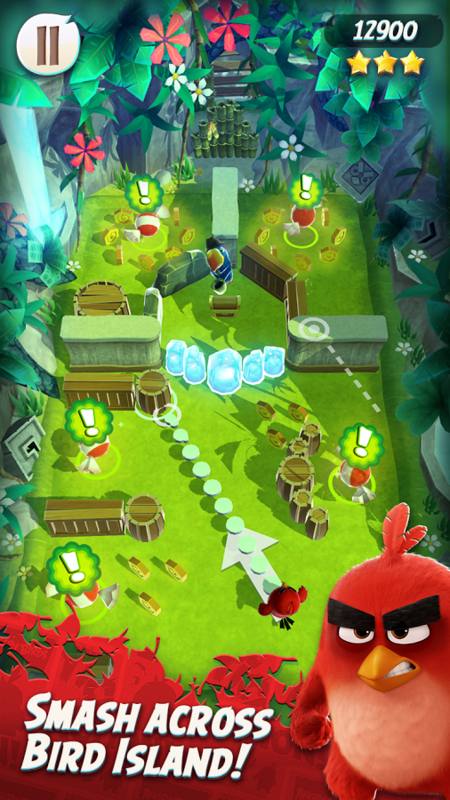 follows Rovio's typical free-to-play formula. 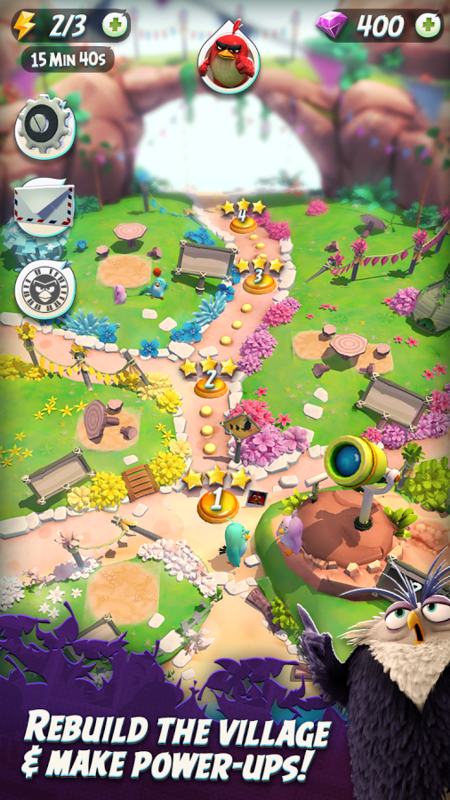 That means two different types of in-game currency for power-ups, a "power" timer system, and big social pushes all present in order to pressure players into gigantic in-app purchases. 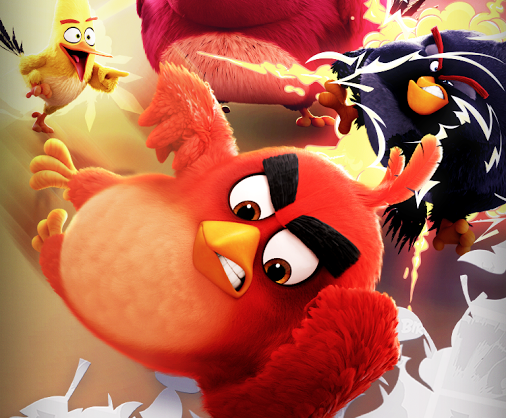 If you'd rather play the original Angry Birds games, they haven't gone anywhere.